I’d read a couple of books by McKillip in my teenage years, namely the first book in the trilogy of which Heir of Sea and Fire is the second, and a book called The Forgotten Beasts of Eld. She’s very much a fantasy writer in the vein of Ursula LeGuin, but without LeGuin’s interest in colonialism (or rather, anti-imperialism and post-colonialism); less political and more elegiac and definitely more influenced by Tolkien (not so much Lord of the Rings; check out a short novel of his called The Smith of Wooton Major). 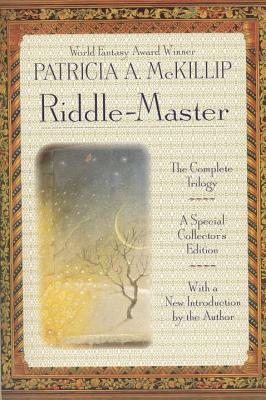 But anyway… In most ways, it’s not as good as The Riddle-Master of Hed, having the ‘middle book syndrome’ or being most dedicated towards getting to place where the third volume embark on its conclusion. In another sense, though, it has something more important than its predecessor: it is about a woman’s journey. Granted, she’s looking a guy, but still, she (Raederle is her name, by the way) gets her own book with her own arc and self discoveries. But it’s not as good as the first book. Her journey still isn’t as interesting as Morgon’s in the first book (and it doesn’t have the magic of my old memories of The Forgotten Beasts of Eld). I was also hampered by having waited too long between books and being a little unsure of the characters.